Lately I have been utilizing my face powder collection to the maximum because I'm extra. Hahaha. No, but it's because I have been wearing makeup on long days and I find that it helps my makeup stay on longer. Yep, I wear 3 different face powders for a day sometimes, but I assure you it's in a moderate amount and never a cakey look! Eventhough of course it's more makeup-y. All of these powders are my favourite so I highly recommend them. I just want to say that you don't have to do this, especially for everyday, but it could be great for parties or events. I hope this helps! After I'm done with applying foundation and concealer, I quickly set my undereye using the RCMA No Color Powder with my Beauty Blender, I also bake with it when I feel like it. This powder is beautiful, it's very finely milled and it seamlessly melts into the skin. It's great for baking as it does not overly tighten the undereye. When freshly applied there's a little white tint to it but after 20 minutes you can't see it on the skin. I wipe away the excess while also spreading whatever that's left all over my face as it also helps blur pores. The only thing that bugs me about this product is the packaging, I waste product when I use this because of how it's packaged. But apart from that it is a great quality, affordable powder that would benefit pretty much everyone. After that, I brighten the center of my face using my Hourglass Ambient Lighting Powder in Diffused Light, still with my Beauty Blender. I press this powder onto my nose, undereyes, center of my forehead and chin. This powder has a beautiful sheen to it and the shade is perfect for brightening my skintone. It is not in any way shimmery, don't worry it's not a highlighter. This powder is so pricey but I do think it has a great technology that allows it to diffuse skin texture and helps mask imperfections. It creates a very light layer on the skin and does not create not much coverage. Lastly, I take my MAC Mineralize Skinfinish Naturals in Light Plus to further set the rest of my face. I use this when I want a little more coverage because it is not a transparent powder, but it's not a heavy powder as well. It's the middle ground. It also gives my face a little dimension because as you can see it is darker than my Hourglass Ambient Lighting Powder and it's actually closest to my skintone. This powder is the most recent discovery for me out of all 3, but I have loved it since I got it, and I recommend it just as much as the others. After that, I never forget to set my face using lots and lots of MAC Fix+ to help these powders blend together beautifully, give my skin a little dewy-ness, and get rid of the powdery look they may have created. That's my 3 face powders routine! These powders are all very finely milled, lightweight on the skin, prevent makeup from moving around, and they help control oil. 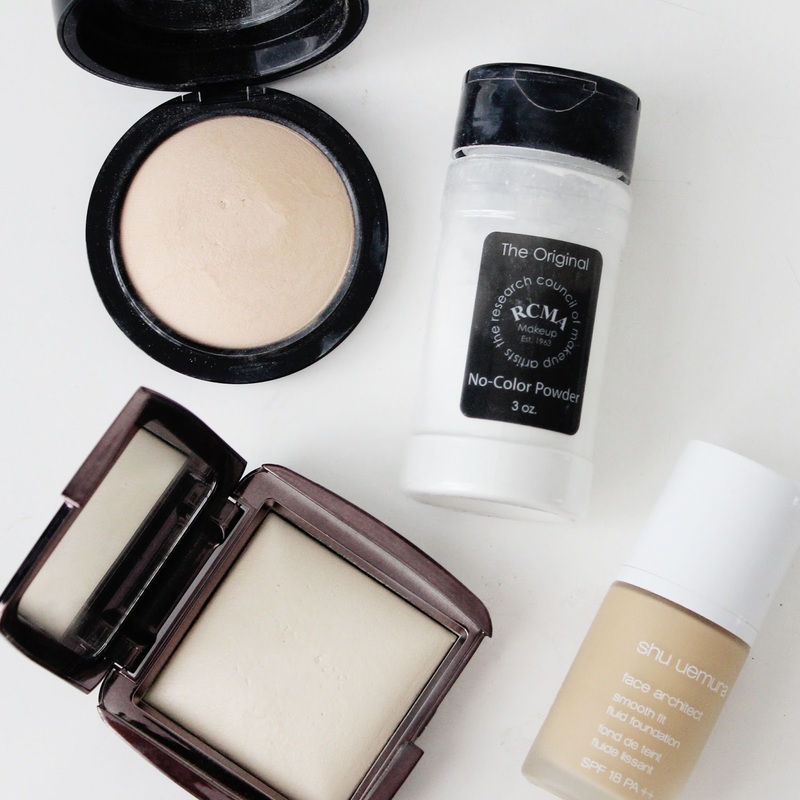 What is your favourite face powder?